One of the most important parts of the logistics business is data. Companies rely on data to evaluate their performance and to recognize trends or problems. Gathering and interpreting data requires familiarity with logistics systems and planning concepts, spreadsheet data management, and statistics applications. More than ever, data is collected through computer systems, but it takes a strong mathematical mind to manage those systems. Jobs with strong mathematics components include: Analysts, Logistics Engineers, and Inventory Managers. It might be surprising that an industry so interested in number-crunching would also put an emphasis on social skills, but it’s true. Logistics companies depend upon communication between their many parts to identify problems and implement changes. Analysts who have solved a problem must be able to tell importers and exporters how to implement that solution; sales executives must be in contact with analysts so they can explain a solution to a client. For logistics companies, communication with their clients is important, but such communication is often built upon communication within the company. Jobs requiring strong communication skills include: Analysts, Consultants, Managers, Sales Executives, and Customer Service Specialists. The United States has the largest and most diverse consumer market in the world, but in order for goods to reach that market, it relies upon an expansive international trade network. Increasingly, goods found in one country may have had their start in another country (or many other countries!). Logistics companies rely on professionals who are familiar with international customs laws and regulations, and who can keep track of changes to those laws (knowledge of international banking is also a plus). Typically, this sort of knowledge comes from experience as an importer/exporter who has developed a business relationship with foreign clients and collaborators; independent knowledge of international business, however, is valuable. Jobs that value international business knowledge include: Importers/Exporters, Consultants, Transportation Managers, and International Logistics Managers. Nearly every position for degree-holders involves some amount of management. Consultants who work with clients on specific problems have to manage their client relationships, as well as the staff working on their project; inventory specialists have to manage the accumulation and distribution of goods and resources; customer service specialists have to manage the relationships of the sales staff with their clients. Whether managing people or goods, transportation and logistics involves many different moving parts; managers are responsible for the logistics of logistics! By now, you likely realize that most positions within this industry require a mix of different skills. Analysts are expected to crunch numbers and solve problems, but also to communicate their solutions throughout the company. Inventory specialists must manage not only their goods but the people responsible for acquiring and ensuring the quality of those goods. Logistics professionals are required to have technical expertise within their field, but also a business-savvy disposition which makes it easy to collaborate. Look at a list of Fortune 500 companies and you’re bound to be looking at several hundred logistics employers. Large companies need distribution solutions for their large markets and they’re eager to reward those logistics professionals who can do it for them. Because many logistics professionals are employed by large corporations, compensation can also include health or finance benefits that might help employees avoid thousands of dollars in personal expenditures. Another important factor to consider is that the transportation and logistics industry is still expanding and there are consistently more open positions than recent graduates. An important factor of any job is whether it brings you a sense of fulfillment. Transportation and logistics is responsible not just for distributing commercial goods, but for distributing food, health care, and vital technologies around the globe. 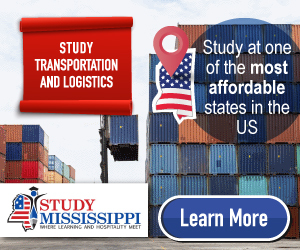 A career in transportation and logistics	will keep you connected with the entire world and let you know that you’re making a difference everywhere.